Are you looking for a unique never-to-be-forgotten present that has been made especially for the person you need to surprise? I love to make it for you. There is no need for a boring present that will be on the highest shelf after a year. Together with you I'll make up a good fitting sculpture (getting to know you and the situation we might do with Skype). Only after we agree on the sketched design I'll focus on the actual sculpture. This might be a portrait or a challenge-cup or something you can use or a bronze sculpture for in a garden. But the range of possibilities is much wider. I'll keep you informed on the progress and all the steps the sculpture needs to make. Once it is finished I can send it over, you can pick it up or even delivered at your place. Example Jan Sierhuis. Portrait ceramic about life-seize from € 800 and up. 'Akwasi for Gold' sponsor gifts. Sculpture of your pet. From 350 € and up. 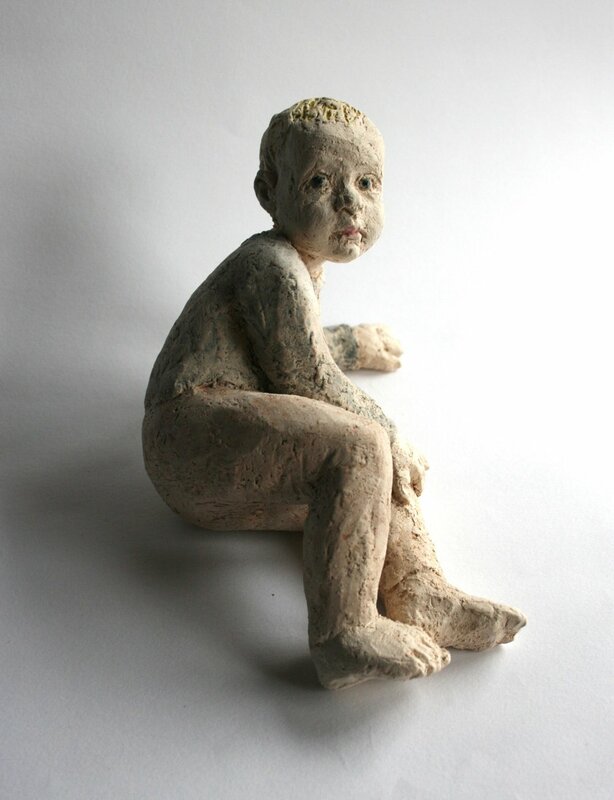 Children's portrait, ceramic, ± 15 cm in height, from € 350 and up.